An affordable point of sale software for growing retail businesses. 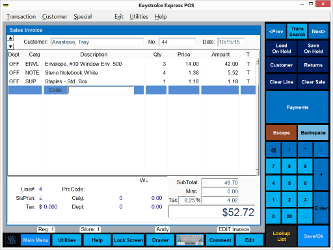 The latest addition to the Keystroke POS software family - rounding out the lineup at the lowest price point of just $495.00. The ideal solution for retail businesses needing to quickly implement a complete and reliable system. technical support services for retail stores since 1988. Copyright © 2019 Specialized Business Solutions. All rights reserved.